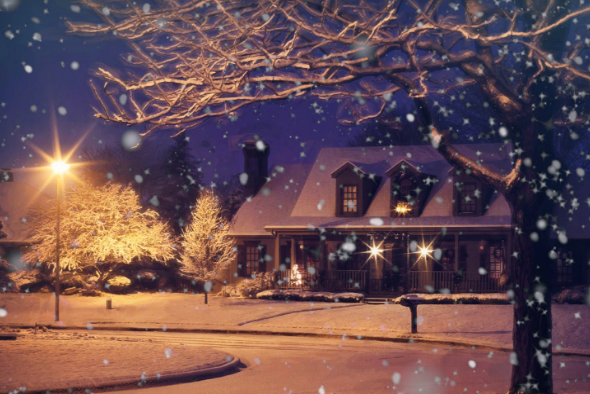 Winter is coming … so what does that mean for homeowners? There’s a lot of information out there about the best way to winterize your house for the approaching season, but the actions you take should depend more heavily on the climate where you live, the typical weather-related risks you might encounter, and the best ways to stay comfortable when the temperature drops. Not every homeowner needs to completely winterize their home before the first snow starts to fall, but almost every homeowner can benefit from taking at least a few steps toward winterization so that their home can emerge in the spring in tip-top shape. Here are some ideas for winterizing that you might want to include in your own process this year. The first thing to know about winterizing is that the more drafty or leak-prone your house happens to be, the more work you’ll have to do to get it ready for the coldest season of the year. One way to figure out whether your house needs a lot or a little bit of work is to get an energy audit. Energy audits are often provided for free by your utility company. They involve a visit to your house from a licensed professional, who will comb over your doors, windows, heating and cooling systems, and many other parts of your house, then give you an assessment of how much energy you’re wasting (or saving) every month, in addition to a list of ways you can improve your home’s energy efficiency. So if you’re really not sure where to start when it comes to winterizing your place, asking for an energy audit and then implementing their suggestions can be a great way to get your foot in the door. You may remember from science class that hot air tends to rise while cool air tends to sink. Believe it or not, your ceiling fans operate according to the laws of physics — when you look up at your fans in the summertime, they should be running in a counter-clockwise direction in order to correctly redistribute the cold and warm air in the room. Ideally, you want your fans to do the opposite in the wintertime than what they do in the summer. They should be pushing the warm air that’s hovering up near your ceiling down toward the ground, where you can enjoy it. Many ceiling fans have a switch on them that you can flip to have them run clockwise in the wintertime; if you can flip this switch, now is the time to do it. All that grass and greenery outside isn’t going to need to be watered for a few months, and you might wonder if there’s really any harm to leaving your hoses outside until springtime — well, maybe not, but if a hose has water in it and that water freezes, you could end up splitting the hose and needing to either patch it or buy a new one when the spring rolls back around. Before temperatures drop too far, detach your hoses from any outdoor faucets, drain the water out of them, then store them somewhere safe until you need them again. If you happen to have a sprinkler system in your house, you’ll definitely need to winterize it, especially if you live somewhere that experiences below-freezing temperatures in the wintertime. Water expands as it freezes, so imagine all the water in your sprinkler system’s pipes and hoses suddenly freezing and expanding … what will happen? Nothing good! You may end up having to spend some money to repair it and get everything operational again in the springtime. There are tutorials for blowing out your sprinkler system online, but your best bet is usually to hire a professional who can do it quickly and efficiently for you. Any flowering plants you want to keep safe for the wintertime will probably need to come indoors with you until the season passes, especially if you don’t have a greenhouse or another way to keep frost and snow off your plants. If you’re not sure what you want to keep and what you’d prefer to replant next year, it might help to talk to the experts at your local nursery about what they recommend and then follow their advice — which will vary depending on where you live and what kind of plants you have. Not all trees require wrapping, but those with thin bark that are susceptible to colder temperatures could need a little extra care before the cold sets in, especially if they’re not normally native to the area where you live. Again, if you’re unsure whether the tree in question needs to be wrapped, talk to the people at your local nursery to see what they have to say. Sometimes your outdoor greenery can survive just fine with a layer of mulch spread over it to help protect it from the elements. This is a perfect time of year to add to or replace the mulch in your yard, so if mulching is on the agenda, book some time to pick up some new mulch and spread it in all the right places in your garden. As autumn arrives and the leaves begin to fall, gutters on houses can become clogged with them. That might not seem like a huge deal, but gutters serve a purpose besides collecting fallen leaves — they’re designed to funnel water off your roof and onto the ground, including water that forms from melting snow. If the water can’t make its way down the gutters, it can instead collect on your roof, freezing again and causing damage to your roof, up to and including leaks … which you definitely don’t want to discover when the snow starts to melt again in the springtime, or during your first April shower of the year. All of this can be prevented with one conscientious gutter-cleaning after most of the leaves are gone, so don’t neglect it, even if it might seem tedious and annoying. You can buy screens for some gutters that will shunt off leaves but allow water to trickle in, so you might want to consider upgrading your gutters if this is a chore you especially hate. One major source of drafts and air leakage in your home is through its windows, perhaps not surprisingly. There’s a lot you can do, however, to minimize that leakage and keep your house warm and snug in the wintertime; one of the most basic fixes is simply to recaulk your windows if the caulking is cracked or peeling in places. It’s cheap and pretty easy to do yourself, and you’ll be glad you took the time when the wind starts howling at your windowpanes in a few weeks. Ducts are channels that funnel warm or cool air through your house to help you feel more comfortable. These, too, can leak, and depending on your heating and cooling systems, they might need to be sealed up entirely during the wintertime in order to keep your warm air from escaping. If you’re not sure how to handle your ducts, ask for an HVAC consultant to come take a look and tell you what they think; a real estate professional has also seen all kinds of heating and cooling systems and may be able to give you an (unofficial) opinion about how to treat your ducts for the wintertime. Those little strips at the bottom, top, and edges of a door that brush against the floor when you open and close it — especially for doors that lead outside — have a name: it’s called weatherstripping, and it’s designed to keep the air from leaking out from around your door when you don’t want that air escaping. Weatherstripping usually doesn’t last nearly as long as your door does, so if you see that it’s cracked or patchy, it could be time to replace it and ensure that your door’s seal is seamless. Of course, you don’t necessarily need weatherstripping; there are other ways to keep the drafts from seeping around your door edges. Placing a fabric draft strip at the bottom of your door can work wonders to keep the warm air in — even a blanket or towel will work in a pinch. The disadvantage to this solution is you’ll have to keep moving the draft plugger to block the bottom of the door every time it opens, but if you’re trying to be frugal about your winterizing, it can be a decent alternative to replacing weatherstripping. Not everyone uses a fireplace in the wintertime, and if you aren’t using it, then the chimney is just another place where cold air can seep into your house and warm air can escape. You can put a simple stop to this by closing the flue of your fireplace to make sure that there’s no air moving out through this channel. Another option is to install glass or metal doors in front of your fireplace, leaving the flue open; the doors will block enough air exchange that your house should stay noticeably warmer, and you can still use the fireplace in the wintertime. A chimney balloon is exactly what it sounds like: An inflatable piece of plastic that blocks your chimney when you aren’t using it. (Do not use a chimney balloon if your fireplace will remain operational in the wintertime!) You might be surprised by how well the plastic keeps cold air out and warm air in, so if you know you won’t be lighting up the fireplace until springtime, plug it up with a chimney balloon and save some money on your heating bills. If you have air conditioning in your house, whether it’s central air or a window unit, and your home is in an area that will experience below-freezing temperatures during the wintertime, then you’ll need to address your air conditioning just like you do your hoses or your sprinklers. Air conditioning systems use water to cool the air, and if that water freezes and expands, your unit or system could be completely done for when you want to use it again during the heat. Remove window units and store them until you need them again, and ask a professional about draining any pipes for your central air system to keep it safe while it’s off in the wintertime. Many older homes have storm windows or doors, which add a literal extra layer of protection to your windows and doors, making air exchange more difficult between outside and inside. If you have storm windows or doors to install, before winter hits is the perfect time to set them up so that you can stay nice and warm when the temperature really starts to drop. Plastic sheeting doesn’t work on doors, but you’d be surprised what a thin layer of plastic over your windows can do in terms of trapping heat inside and cold air outside. You can buy kits to cover your windows at the hardware store; they’re relatively easy to install yourself, covering your windows and preventing too much air exchange in this notoriously drafty area of the house. They’re a cheap and effective way to keep your house more energy efficient in the wintertime, especially since they still let in plenty of sunlight to warm your house organically. Years ago, it was very common to have two sets of curtains and rugs for your home: One for the summer months and one for the winter months. You can tap into the brilliance of those who lived through many winters before you were even born by taking a page out of their book and buying a second set of drapes or rugs that are thicker and heavier for the wintertime. This will help trap more heat inside and keep the cold air out in terms of the drapes, and provide more cushion and heat for your feet in terms of the rugs, so if you’re interested in seeing how much old-timers really did know about staying snug in the wintertime, give it a try. The insulation in your house could be in perfect condition, or it might need an upgrade — but you won’t know which is the case unless you have it checked. An energy audit usually also includes a look at the insulation and recommendations about how to treat it, but you can also call in an expert for a consultation and ask for an official opinion. Older homes typically have less-robust insulation, especially homes that were only used in the summertime (for example). Depending on when your home was built and when the insulation was last updated, it might be time to address it. Although pipes can keep a lot of the ambient heat from hot water inside of them, some of it still escapes through the walls of the pipes. This isn’t a huge deal in the summertime, but it can mean a big bump in your water heating bills in the wintertime as your heater works to keep up with your hot-water demands. Pipe insulators are like little blankets that wrap around your pipes and help keep the heat from the hot water in the water instead of leaching out the side of the pipe, saving you money and ensuring your shower, bath, or dishwashing experience is just as hot as you want it to be. Over time, sediment collects in water heaters, and when there’s a lot of it, the sediment can start to affect the efficiency of your water heater. To avoid any inefficiencies as a result of sediment, an easy fix is to flush your heater — which just involves dumping out the water that’s currently inside it, including any sediment that’s made its home inside your water heater. It’s cheap and relatively quick, and it’s something that most homeowners should consider doing as part of their winterizing package. Pipes aren’t the only place in your water system where heat can escape from the water; the very walls of your water heater can also allow warmth to flee, and then the water heater has to work harder to keep the temperature of the water steady. Many manufacturers make blankets specifically designed to fit your water heater that fit over the top and keep the heat from the hot water from escaping; you usually don’t need one in the summertime, but it can really make a difference in your water heating efficiency in the wintertime. Can you really tell the difference between water that’s 120 degrees F and water that’s 140 degrees F? Most people can’t, so it might be a good idea to lower the temperature of your heater 10 to 20 degrees to help save energy (and money — let’s not forget that it costs money to heat your water). This might not be a fix for everyone, but homes with small children especially should really consider lowering the water temperature as it’s also a safety precaution in case a kiddo sneaks to a sink and turns on the hot water. People tend to fall asleep more quickly, stay asleep longer, and sleep deeper in cold rooms, so although it might seem counterintuitive, think about lowering your thermostat in the wintertime to facilitate a better sleeping environment. This might not be something you want to do everywhere, but keeping bedrooms cool, even if just overnight, can make a real difference in both your quality of sleep and your energy bills. The longevity of your furnace filter really depends on the type of filter, the type of furnace, and other factors surrounding your house, like how many pets you have. It’s a good idea to check the filter before winter really kicks in so that you have time to replace it if you need to; this is an easy way to keep your furnace operating at its peak and keep you warm when the cold weather arrives to stay for a few weeks or months. If your furnace isn’t performing to the best of its ability and you’ve already checked the filter, it’s possible that a quick tune-up might make a big difference in how well it does its job. Call in a professional and ask them to take a look at your furnace and make any necessary small adjustments to get it running in peak condition. Programmable thermostats can help you manage the temperature of your home for the times when you aren’t there during the day, or overnight when you don’t need the house to be as warm as it is when you’re awake and moving around inside. If you and the rest of your household are gone during the morning and early afternoon hours, then you can program the thermostat to drop the temperature a few degrees and slowly kick it back up just before you arrive home. And maintaining a cooler house at night can promote better sleep, so if you don’t want to adjust everything by hand, programming your thermostat to power down around the time you usually go to bed can be an easy way to manage everything automatically. If you’ve been dealing with drafty windows or doors for several winter seasons, it might be time to go ahead and think about replacing some of those scofflaws with newer, more tightly sealed versions that will ensure you’re not leaking all your warm air outside the house. This is definitely a more expensive fix, but new windows and doors (especially high-quality ones) can last for years, so it’s worth it if you’re tired of sealing and re-sealing those outlets to the outside and want them to stay sealed up for a change. Homes with a lot of rooms are lovely for many reasons, but let’s say you’re not expecting any guests this winter and you’ve got a guest room or two that’s normally open. Do you really need to heat it? Nope! Dust it out, close the doors, and let it get as cold as it’s going to get until you need it again. This can save you significant amounts of energy, not only because you’re not heating the entire house, but also because those rooms can serve as a buffer between the great outdoors and the rest of the house. Remember when you were growing up and complained about how cold the house was in the wintertime? Did your parents turn up the thermostat … or did they tell you to just go put on a sweater? Turns out Mom and Dad were right about one thing: It’s a lot more energy-efficient for you to add some layers to your body than it is to heat an entire room, so break out the sweaters, cardigans, hoodies, and other garments that facilitate layering, and encourage your family members to take advantage of the cute styles you see everywhere this time of year. You can even break out some extra blankets from the closet and put them on the couch to encourage snuggling and sharing body heat if you feel so inclined. The south and west sides of your house are likely to see the most sunlight during the winter months, and you can harness some of that energy and use it to heat your own home if you’re smart. Open the blinds or curtains on those sides of the home during the day to allow the sun to seep into your house, then make sure you close them at night to trap some of the heat. Keep it up throughout the winter and your kids might not even notice that you haven’t cranked up the thermostat much! Baking — whether you’re baking bread, pies, cakes, cookies, or something entirely different — not only smells great, but it can be a lovely way to use ambient energy to heat your home during the winter months. Obviously, you don’t want to leave the oven on 24/7, but if you’re already baking regularly, then you can open the oven door when your goods are finished to let the heat permeate through the kitchen and the rest of the house. And if you don’t already have an established baking habit, maybe it’s time to start a new hobby. Depending on the climate where you live, you might not need much in the form of tools, but there’s nothing more annoying than needing a good snow shovel to get your car out of the driveway and realizing that you never replaced the broken one from last year. Do yourself a favor and get yourself stocked up on any tools you might need before you actually need them — you’ll be grateful that you did when you can shovel your car out without much of a hassle. Winterizing is different for every property and every homeowner, so not all of these tips are going to apply to everybody, but if you get started now, you’ll be safe and warm inside when those cold winter winds start to blow in earnest.